Gozitan baritone Charles Buttigieg is to present a solo Christmas concert at the Kempinski Hotel San Lawrenz in Gozo on December 28 in his first public performance on home soil since being admitted into the prestigious Curtis Institute in Philadelphia, US. 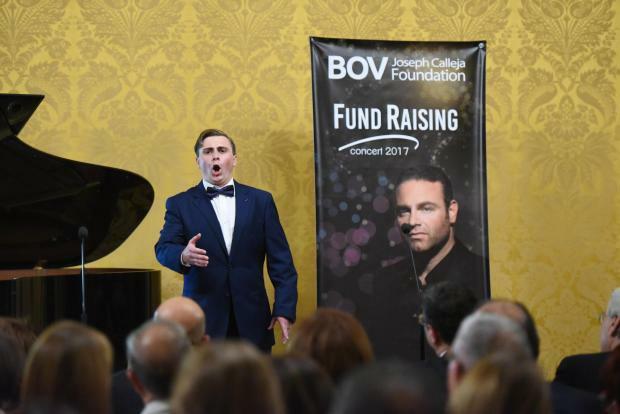 The prodigious 19-year-old, who has been described by tenor Joseph Calleja as a “rare talent” and was last month invited to sing at a high-end private event in New York in the presence of soprano Renee Flemings and mezzo soprano Dolora Zajick, will be accompanied on piano by Mro John Galea for what promises to be a memorable evening. Curtis is one of the most selective schools in the US, accepting just four per cent of applicants each year through its scholarship-only policy, which ensures that talent and artistic promise are the only considerations for admission. It has produced some of the world’s best musical talent over the years, including Leonard Bernstein. Mr Buttigieg said: “I feel privileged to be in the company of renowned music teachers at the Curtis Institute and have already learnt a great deal since I arrived. I hope to show the audience at my Christmas concert how I have developed as a singer and also give them an insight into what is yet to come. The Christmas concert, starting at 8pm and sponsored by the Kempinski San Lawrenz, Gozo Village Holidays and Sabine Agius, is organised the JP2 Foundation. Tickets are available via email at jp2foundation@gmail.com or by sending a text message with details to 9944 1076. Entry to the concert is free, but donations by attendees would be very much appreciated.